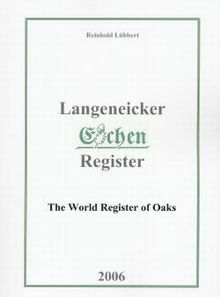 Comprehensive up-to-date directory of the currently accepted botanical names of species in the genus Quercus and its near associates; verified according to the rules of the ICBN, with introductory text in German and English. Contributions by leading experts on Quercus worldwide. 395pp. 210 x 295 mm. Paperback.